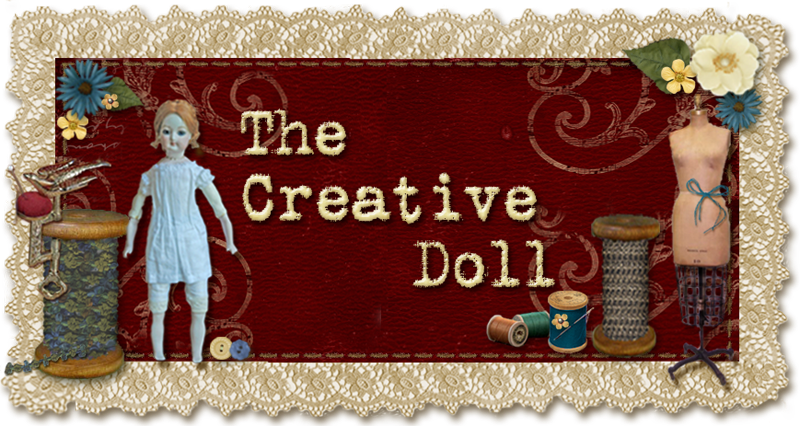 The Creative Doll: Bunka Bunka Bunka..What the heck is Bunka?? Bunka Bunka Bunka..What the heck is Bunka?? Bunka is a knitted rayon crepe thread. The best Bunka is usually if not always made in Japan. 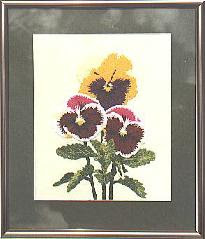 Its primary use is to embroider with. This is called painting with thread. A sample of this embroidery is to the left. This trim is especially valuable to miniaturists, because when you pull a single thread of the "cord" and pull, it unravels to form a nice, loopy, curly, stretchy thread which can be used for many things. Notice the unraveled samples in the photograph. You can also see the difference between a quality bunka(top) and a lesser. I think the KAO Brand is the best as when it is unraveled the curls are nice and even. I import the KAO Brand from Japan. It is sometimes thought of as a trim for the novice minaiturist. But I think there are zilllions of uses for bunka thread in miniature and doll making. You can use it raveled or as is (right). I have used it as a trim of course. You can make faux embroidered roses by snipping the raveled threads into bits and gluing into rose shapes. 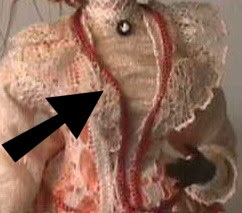 I have even used this little bits to fill in and color lace (left). You can also unravel it then iron it flat for a very delicate thread/trim. It can be used on other miniature creations to. Like piping for upholstery and drapery. 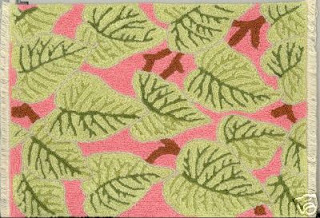 There are artist's that use bunka to create faux punch carpets (below). They are works of art. 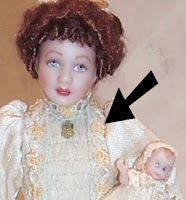 It is the perfect fiber to use hair for doll's doll hair...or dolls of a smaller scale like 1/24. It creates perfect ringlets! It can also be used in making some flowers such as lilacs or even for flower centers. If you have unique use for Bunka send me a picture and tell me about it: mailto:michelle_mahler@hotmail.com I will add it to this Bunka article. Here is a picture of a customer of mine, Tres Beertema of The Netherlands, carpets. These are works in progress showing 1":1' cartpets made of Bunka. I would love to know how to make those bunka carpets. Are they available in Kit form? I would like a carpet for my nursery. Just 'cause they are CUTE!